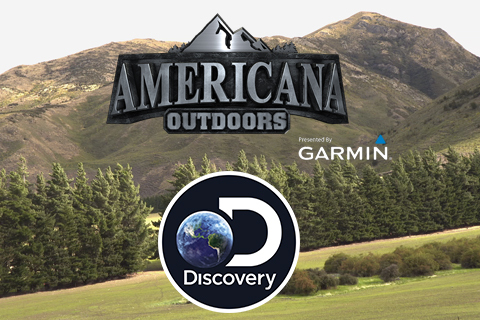 Beginning in April, CarecoTV is proud to be airing the Americana Outdoors presented by Garmin television series on Discovery Channel. 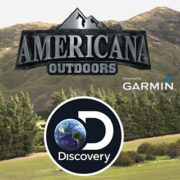 As one of the longest running outdoors programs on television today, Americana Outdoors presented by Garmin continues to be one of the most diverse and most watched outdoor programs on television and digital networks. Featuring a large range of content, Americana Outdoors is perfectly produced to showcase a variety of top destinations, conservation messages, the latest in products, and some of the nation’s top anglers and hunters, while also providing the viewing audience with both entertainment and education in every episode. This season viewers will see a wide range of exciting coverage with fishing trips on the Potomac River, Sam Rayburn, off the coast of Texas and more as well as trips to Kentucky, Montana, Wyoming and Texas for whitetail deer in addition to the stunning scenery from New Zealand for Tahr and Red Stag. “Americana Outdoors presented by Garmin is a fast-paced mix of stories, fishing trips, hunts, products, and valuable insight about fishing and hunting. We’re getting ready to celebrate the 25th year of this program, and we could not be more excited about bringing Americana Outdoors to the Discovery Channel,” said Wade Middleton, President of CarecoTV. Check your local listings and be sure and tune in on Saturday mornings each week starting on April 7th. Visit www.AmericanaOutdoors.com for complete episode and airtime listings. CarecoTV LLC has a rich history of developing highly effective, industry specific marketing programs for a diverse collection of clients from small start-ups to Fortune 500 companies. By providing dynamic outdoor programming to a wide range of networks, CarecoTV LLC is able to position our clients’ messages to outperform the competition. CarecoTV LLC owns and produces a wide range of titles and websites including Americana Outdoors® presented by Garmin, Yamaha’s Whitetail Diaries™, Cabela’s Fisherman’s Handbook™, Fishing & Hunting Texas®, Cabela’s Collegiate Bass Fishing Series, and Cabela’s Deer Gear™. For additional information, please visit www.carecotv.com.